Optimism has returned to stocks markets and the bullish mood is seen across the Continent. The impressive start by American markets bodes well for the European session. It is encouraging to see the rally in Europe is still underway as some traders had concerns it could be a false start. Firmer commodity prices across metals and energies have provided the foundation to today’s rally on the London market. Oil, copper, platinum and palladium are higher today, and this has sparked a rally in companies like BP. Rio Tinto and Anglo American. The Serious Fraud Office (SFO) have charged Barclays in relation to activity that took place during the credit crisis. Barclays avoided being bailed out by the government back in 2008, as a Qatari-backed sovereign wealth fund took a stake in the company, and the investment provided some much need cash for the financial institution. It has been alleged that Barclays offered the Qatari government a loan facility shortly after the investment funds acquired a holding in the British bank. As the overall equities markets turnaround so has the fortune of Scottish Mortgage Investment Trust. The firm took a battering due to the turmoil in global stock markets recently, along with other money managers like Standard Life Aberdeen, and now they are both in demand. Investment management companies often performed poorly during stock market downturns, but now they are higher on the day. US equities got off on the right foot but has given up some ground. The Dow Jones, S&P 500 and NASDAQ 100 are all in positive territory, but are all off the highs of the session. 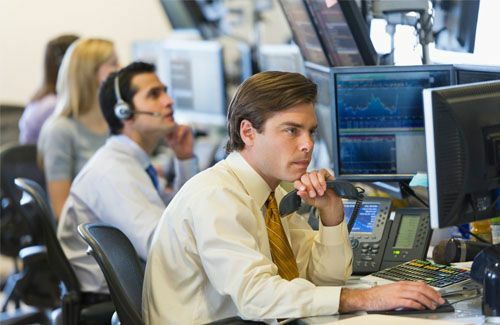 Traders are keeping an eye on the volatility index (VIX), and the futures contract for February was firmly lower this morning, turned positive, and has turned lower again. The VIX is commonly known as the fear index and the u-turn in the market has spooked traders. When it comes to buying back into a market in the wake of a severe sell-off, investor often do with one eye on the exit. The events of last week are still playing on traders’ minds and if the American indices turn negative we could see another rapid decline. The slight weakness in the US dollar has helped the EUR/USD today. The greenback had a strong run last week and the sentiment turned on the currency, and some traders now think there could be four interest rate hikes from the Fed this year. Dealers are locking in their profits on the dollar today but the market hasn’t forgotten about the impressive data from the US recently. It was been a dull day in terms of news flows from the US and eurozone, so traders had little to get excited about. GBP/USD has turned slightly negative after a good this morning. 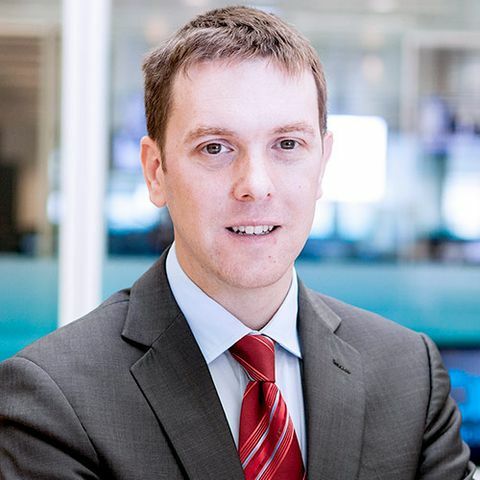 Gertjan Vlieghe of the Bank of England (BoE) called for another hike to interest rates as the global economy is in good health. The central banker also stated the interest rate target the BoE has given itself before it starts to trim the bond buying scheme could come under review, and traders took this as a hawkish sign. Gold is higher today as the downturn in the US dollar has made the metal more attractive. At the back end of last week gold fell to a one month low, and that was partly driven by the push higher in the US dollar, and now we seeing a reversal of that. The metal has been in an upward trend since mid-December and today’s move could be the resumption of that trend. WTI and Brent Crude oil have bounced back today after falling to its lowest level in over one month on Friday. Last week the US revealed that oil production exceeded 10 million barrels per day (bpd) – a record for the country. On a related story, the Baker Hughes active rig count jumped to 791, up from 765, so traders are worried about over supply. Short covering and bargain hunting are assisting the price of oil today.